A powerful tool that can be employed in a wide variety of disease processes, cytology in small animals has gained increased recognition and clinical application. Small Animal Cytologic Diagnosis presents clinically applicable information about the use of cytology and indicates when advanced diagnostic testing can be beneficial to diagnose underlying disease processes. The book discusses the pathophysiology of inflammation, cancer biology and comparisons to histology to help readers fully comprehend the cytologic changes that can occur with inflammation and neoplasia. Also covered are some of the limitations and advantages of cytology compared to histopathology. The book includes tissue-specific chapters focusing on diseases of a particular area, always in comparison to normal tissue. 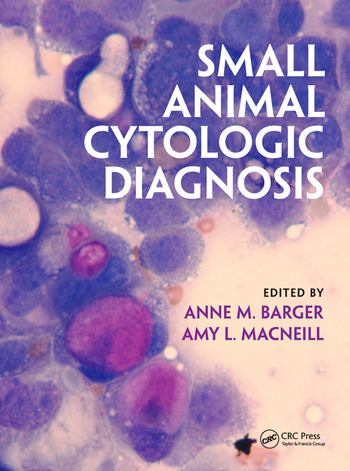 Each of these chapters concludes with various cases that include information on signalment, history, pertinent laboratory data, specimen images, final outcome and the underlying pathology causing the cytologic lesions, when possible. With more than 1300 superb illustrations, this comprehensive resource provides ample practical information for students as well as practicing veterinarians. Amy L. MacNeill, DVM, PhD, DACVP did her clinical pathology training at the University of Florida. She began her academic career at the University of Illinois (2005-2013) and is currently an associate professor at Colorado State University. Anne M. Barger, DVM, MS, DAVCP did her clinical pathology training at North Carolina State University. She has been a faculty member at the University of Illinois, College of Veterinary Medicine since 2002. She is currently a clinical professor, section head of clinical pathology and assistant director of the Veterinary Diagnostic Laboratory.